The first step in protecting your business from intellectual property (IP) theft is to protect your IP - both in the United States and in other countries where you do business and source products. Most IP rights are territorial, meaning, for example, a U.S. patent or trademark only provides protection in the United States. To receive IP protection in other countries, you need to apply for protection in those countries. Companies should inventory their IP. Examine your business to see what might be eligible for a patent, trademark, copyright or trade secret status. Once it is known what IP a company possesses, you can review your options for protecting that property, at home and abroad. Do some research into whether foreign export markets or sourcing locations have signed patent or trademark agreements with the United States. Find out if companies similar to yours have experienced IP problems abroad. Do your contracts with suppliers and other partners include specific IP clauses protecting your rights? Do you know your foreign business partners well? Finally, do a cost/benefit analysis to determine which IP protection measures make sense for your business. Different types of intellectual property are protected by different means. In the U.S., patents may be available to any person who "invents or discovers any new and useful process, machine, manufacture, or composition of matter, or any new and useful improvement thereof." Patent protection must be sought by application with the U.S. Patent and Trademark Office (USPTO). Trademarks protect words, names, symbols, sounds, or colors that distinguish goods and services from those manufactured or sold by others and to indicate the source of the goods. Registration with the USPTO is not required, but does provide certain advantages. 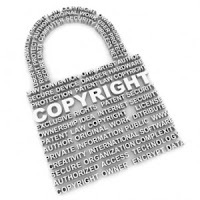 Copyrights protect original works of authorship, including literary, dramatic, musical, artistic and certain other works, both published and unpublished. In the United States, the U.S. Copyright Office handles copyright registration that, although not required for protection, does confer advantages. A U.S. utility patent is generally granted for 20 years from the date the patent application is filed; however, periodic fees are required to maintain the enforceability of the patent. U.S. trademarks can generally last forever, as long as the trademark is used in commerce and defended against infringement. Copyright protection is for a limited term. For works created after January 1, 1978, copyrights last for 70 years after the death of their owner. For works made for hire (covering the usual type of work owned by a small business), the copyright lasts for a term of 95 years from the year of its first publication or a term of 120 years from the year of its creation, whichever expires first. How do I register my patent? www.uspto.gov/web/patents/howtopat.htm. To file electronically with the USPTO visit: www.uspto.gov/ebc/efs/index.html. 1. Become a Sponsor! Your donation can be used as a Tax write off. Tickets can be purchased at the door, just say Inez Jones’ name, or in advance, please contact Inez Jones at inez4MBUSA@gmail.com to become a Sponsor As Soon As Possible. Ø Has sung the National Anthem for The Chicago White Sox 3 times! Ø Works for Chicago Public Schools (CPS) at Kenwood Academy H.S. Ø Sponsors Super Sisters, a mentoring club for teenage girls at Kenwood H.S.